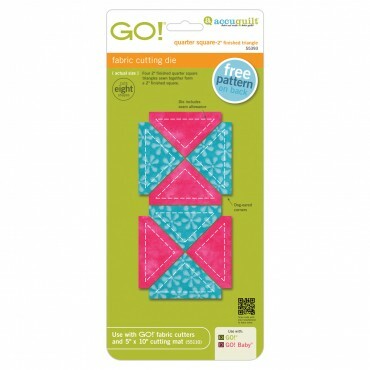 AccuQuilt offers over 200 piecing and applique dies designed to cut accurate fabric shapes each and every time, and save time for quilters, so you can get right down to the fun part of quilting. 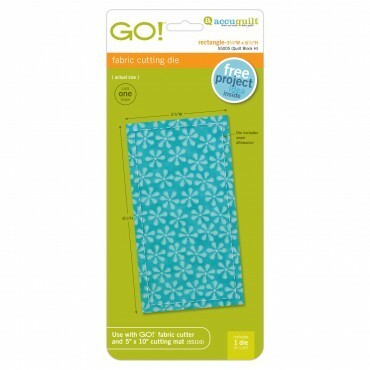 Designed to cut folded fabric right off the bolt - up to 6 layers at a time. This die cuts half square triangles to create a 2" finished square. It makes 6", 8" and 12" finished blocks. 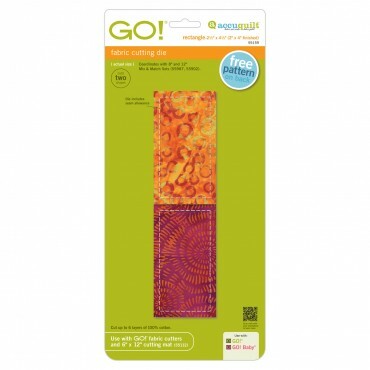 Designed to work with the GO! Baby, GO! and GO! Big Fabric Cutters.